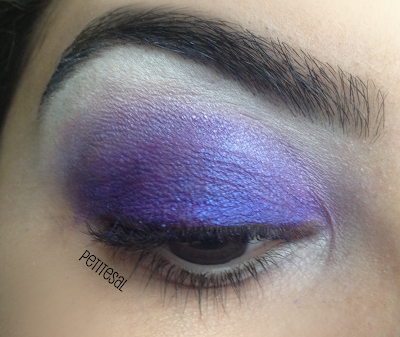 Many requested a tutorial of the Ombre/Ursula makeup look and here it is! Keep in mind that you can go as heavy as you want with this look. You can also keep it soft! 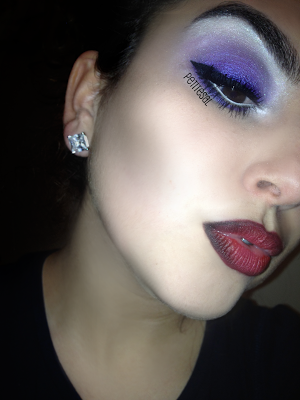 But you know I like me a little drama in my makeup, so I'm showing you how to do the dramatic version, as shown above! Oh and don't worry: it's easier than it looks! It's been a while since my last tutorial, so I was excited when ladies asked me to do a tutorial! 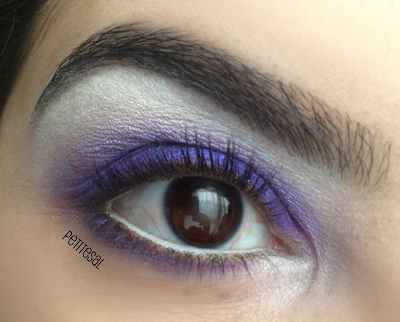 Because of the bright purple, this look will make brown and green eyes really pop! 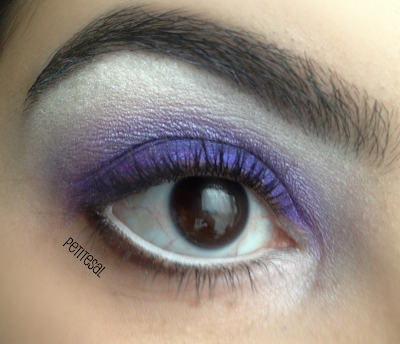 In this post I'll be focussing on the eyes of the look. I'll do a different tutorial on the ombre lips. Start with a clean canvas. You can prime your eyes with an eyeshadow primer to make your eyeshadow last, but I skipped the primer. 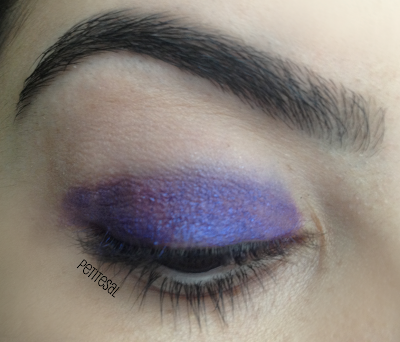 Apply bright purple pencil eyeliner on your lid as a base, to make the colours pop. This doesn't have to be precise. To create the ombre effect without blending too much later on, apply a lighter purple pencil eyeliner in your crease, right above the bright purple. 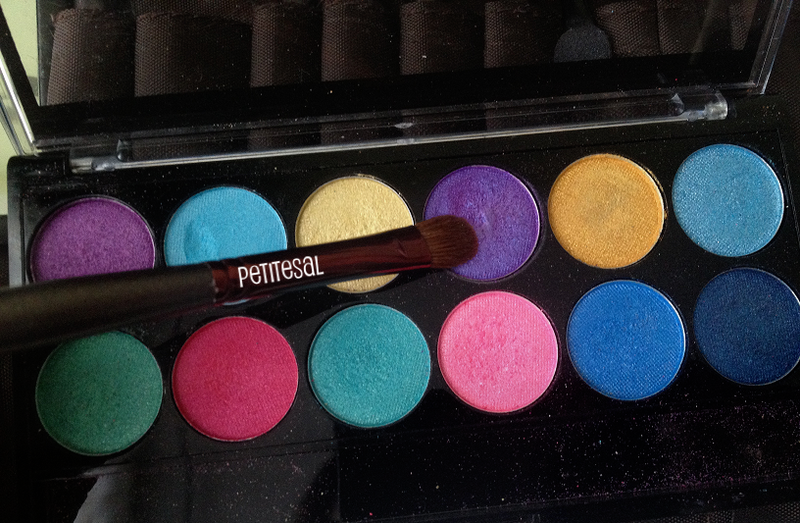 Make sure the colours blend well and don't leave any harsh lines. 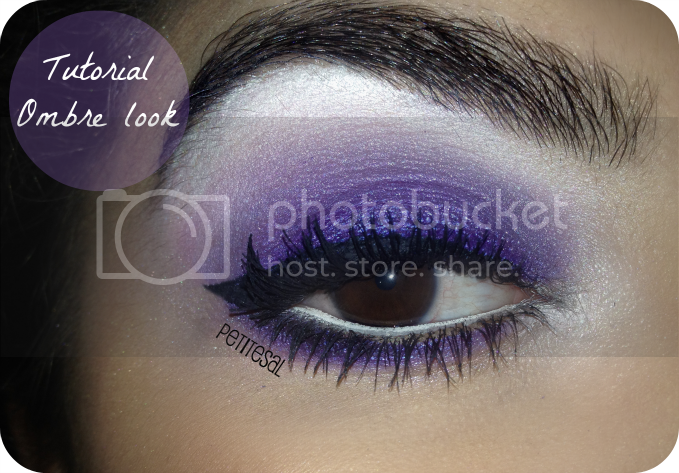 Continuing with the ombre-effect, apply a shimmer white pencil eyeliner right above the light purple. Again, blend the colours together. 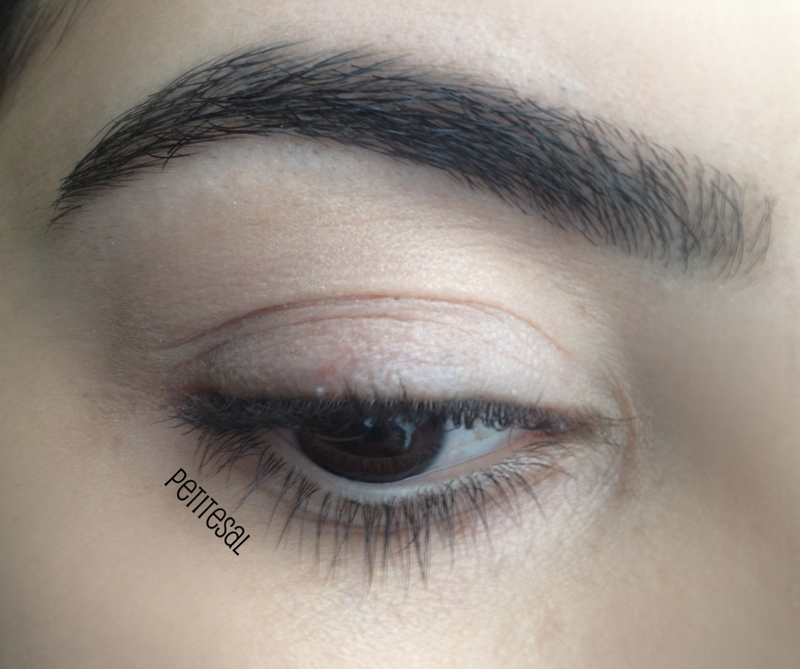 The last step for the base: apply a matte white eyeliner on your browbone until your eyebrows. Blend this with the shimmer white eyeliner. Make sure you blended the colours with each other. You don't have to blend the colours perfectly, because this is just a base, but it will make the ombre-effect more beautiful. 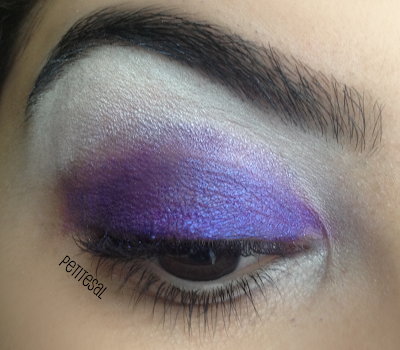 Apply a bright purple eyeshadow on your lid. 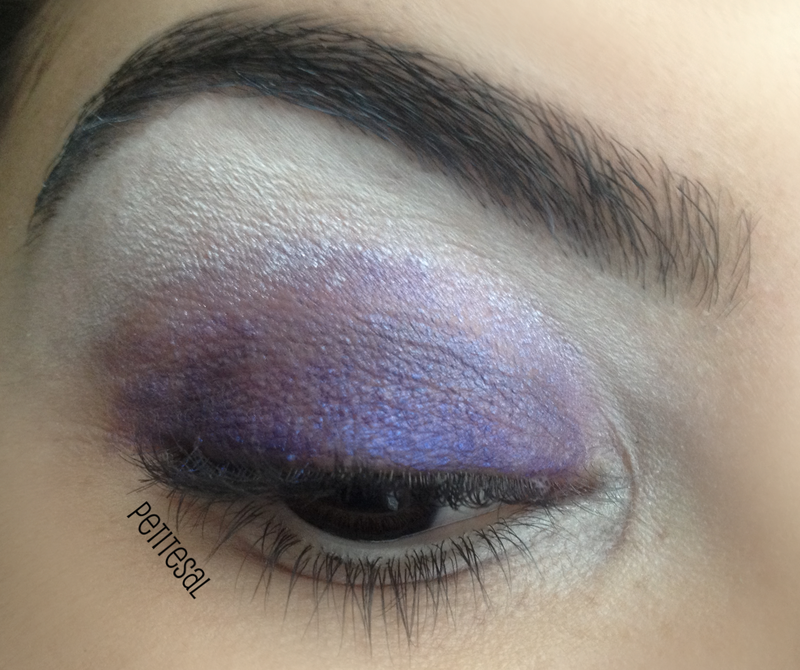 I used the bright purple with a blue shimmer from the MUA palette. Apply a lighter purple in the crease and a white eyeshadow on the browbone. 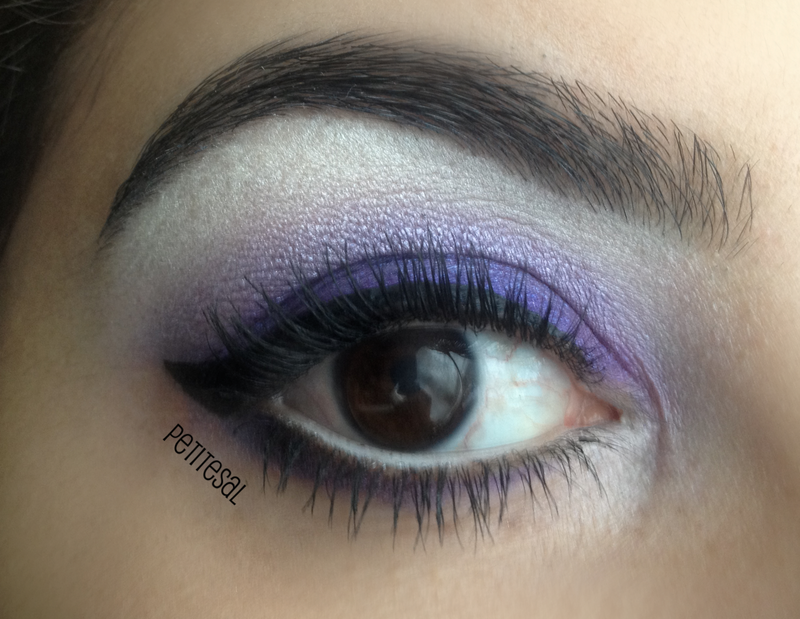 I used a matte white with a very subtle shimmer, because I wanted a contrast between purple & white and shimmer & matte-ish. Blend really, really well. With ombre it's all about the blended colours! After blending the eyeshadow, apply brown pencil eyeliner on the outer half of your lower lashline and apply white pencil eyeliner on your waterline. 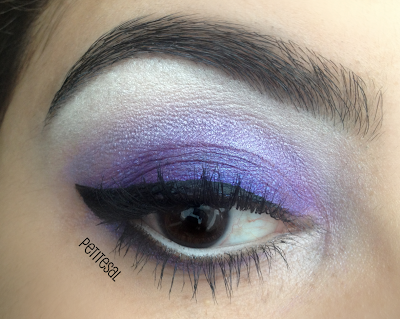 If you want the white to pop, like in my Ursula look, gently apply white eyeshadow over the white eyeliner on your waterline. Be careful if you wear lenses! 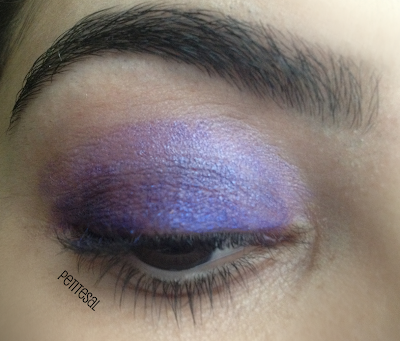 Apply the purple you used on your lid over the brown eyeliner and blend. 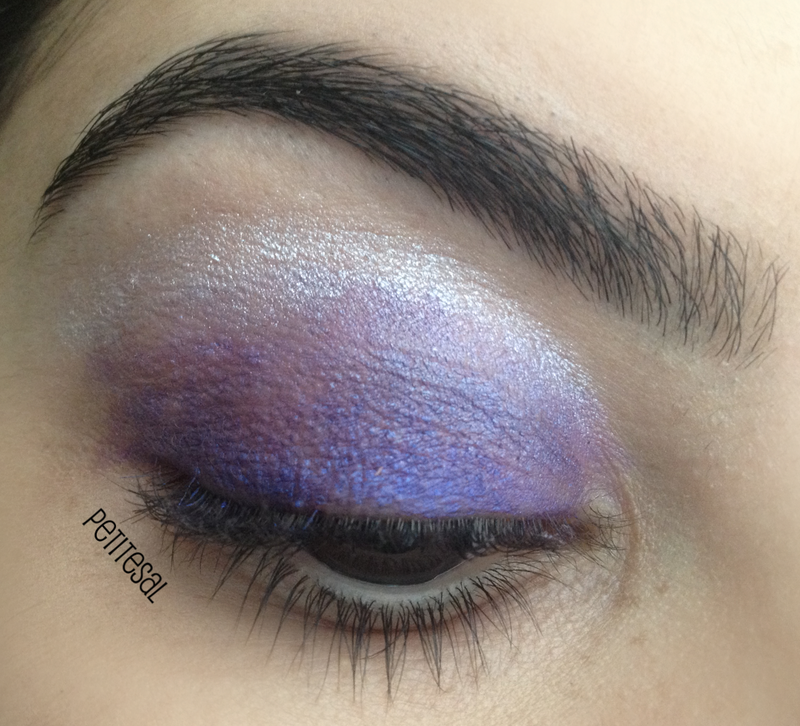 Put some of the white eyeshadow in the inner corners of your eyes as a highlighter to make your eyes pop even more. 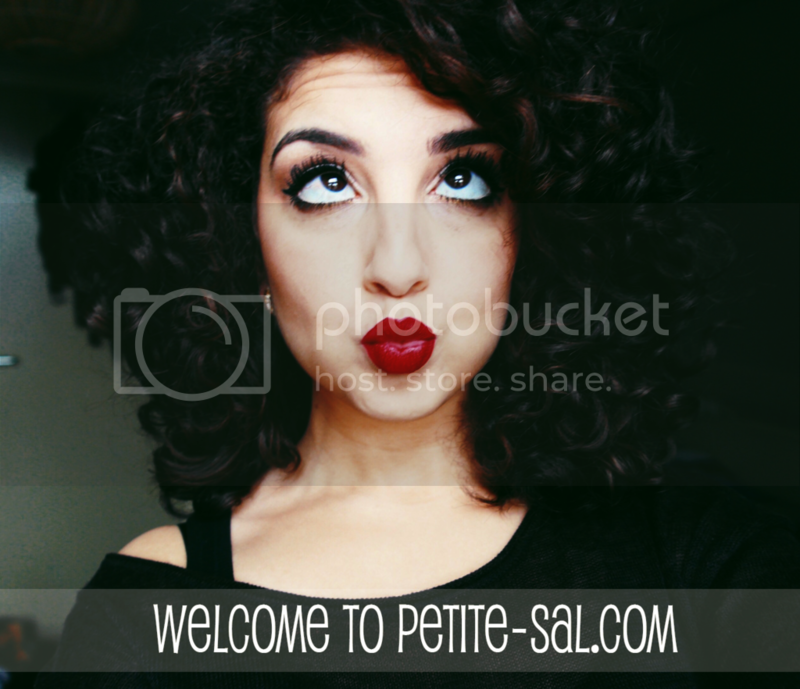 Get your blackest liquid eyeliner and line your upper lashline. Give it a nice wing! 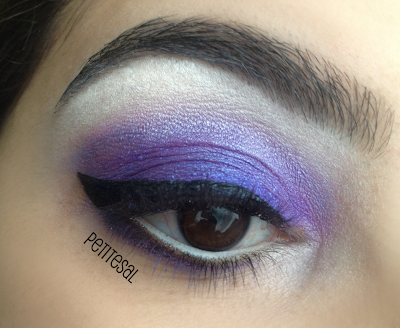 You can make the eyeliner and wing as bold as you want to. Last, but certainly not least, apply your favourite black mascara and you're done! You can also wear falsies with this look, but I choose not to. And that's how I did my ombre/Ursula look! You can go as bold or as soft as you wish with this look. I liked it quite intense, as you can see! To make the eyes really pop, combine the look with nudelips with a pink undertone. You can click here for a tutorial for the perfect nudelips. 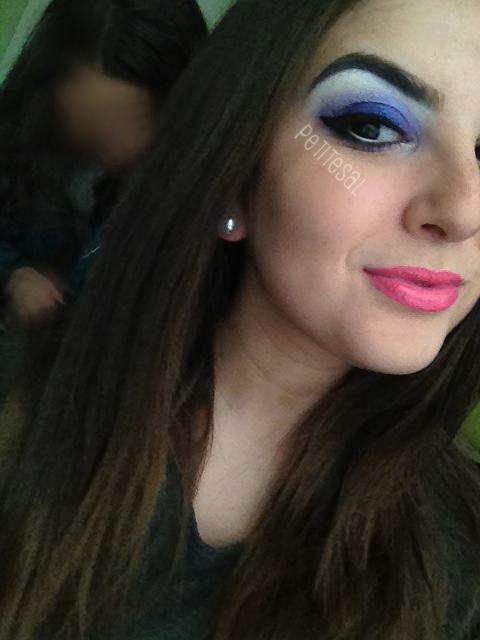 Combine it with bright pink lips for a Barbie look. I'm wearing MAC Viva Glam Nicki. Or go for red ombre lips for that Ursula feeling! Here I'm wearing MAC Viva Glam I with an ombre effect. It's been a while since I posted a tutorial. I hope you enjoyed it! If you tried the look, I'd love to see the result! You can send a picture of the result to me however you want to! Would you go for a soft ombre look or would you go all the way? Love it. Looks so nice! I love using purples for eye makeup so will try this look soon! :) btw what mascara do you use? Really diggin this look. I LOVE purple! I´d go all the way ;) This is beautiful Sal! PS: Your lashes mashallah are so lush ! Gorgeousnessssssss! I don't know what else should I say :D I like both lippies actually! I am drooling over the last pic!! WHAT a sensational combo!!! YOU, my dear, are just gorgeous!! !